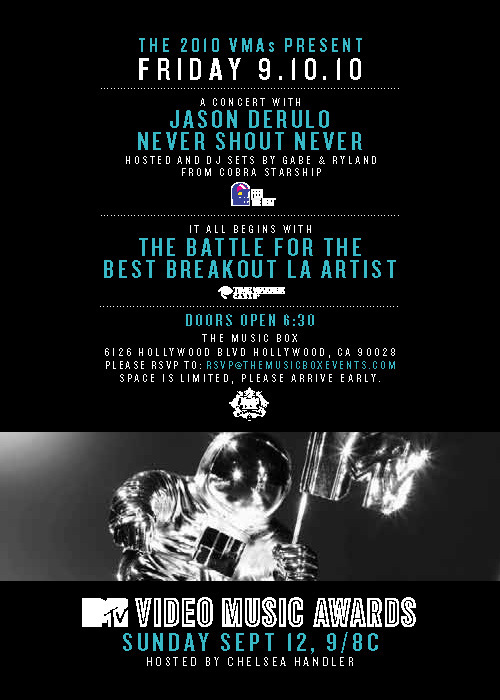 The Goodie Bag is proud to announce that associate and homie, Steve Liriks, will be performing and competing against 2 other acts in this year’s 2010 MTV VMA Best Breakout LA Artist showcase presented by MTV and Time Warner Cable. This is the official kick-off VMA Friday Night Pre-Party Event! Liriks will also be backed up by his label mates, The Specialists. If you haven’t already, please visit Liriks’ site and cop Lazy Boy Syndrome. Here is his latest video that may air on MTV networks should be win! !